im a heart fan but matian looks better here. di ko nagustuhan na nawawala ang leeg ni heart. both beautiful though. Parang naging tuhod yung shoulder ni heart dito. Heart. May emotions ang expression niya sa eyes all the time sa photos niya. both are beautiful just a matter of your preference Heart is sophisticated , Marian girl-next door type of face. Marian kasi fresh even if may baby na. Heart, you’re beautiful but please stop using too much filters. OA na mamsh. with or withou filter maganda si heart. marian is very beautiful too. sa photo na yan ill say marian hands down. 6:06 asan ba limbs sa picture na yan aber? Marian, natural beauty. Nahaloan kasi ng Español. Both beauties. Magkaiba ng aura. Heart's is more sophisticated woman of the world look while Marian's has that fresh and innocent look. Heart, the epitome of class and elegance. Marian.. in my opinion, a woman should use lesser make-up as she aged. Heart wears so much make-up. Yup, too much make-up in that pic. Magkaiba siguro ang concept ng dalawa. 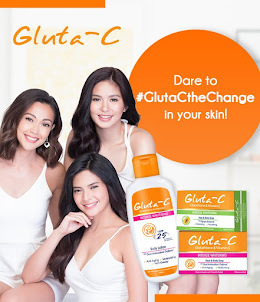 Yung kay marian parang pwedeng commercial sa skin care, yung kay heart pang commercial ng cosmetics. It’s like comparing pancake and waffles. Pareho silang maganda. For me I prefer Heart’s picture. I love her sophisticated, classic Audrey Hepburn aura. They're both very good-looking. If you prefer Castilian type beauties, that would be Marian. If you prefer the Oriental exotic looks, Heart got it in spades. Either way, they represent how a Filipina's face may look like due to mixed bloodlines. Both beautiful. Heart pang High Fashion while Marian pang commercial. Pang international rin actually ang beauty ni Marian, lalo na sa Southeast asia countries. Heart for the win! Global beauty! Dun ako sa fresh. Marian! Marian, maganda ang angle nya. Full make up versus fresh freshan eme lang. Marian FTW! heart although di ko gusto pose nya dyan carry pa rin ang pagmumukha. sophisticated and classy. marian is another beauty na no need ang filters. both! ang gaganda in different ways. They both look stunning here at walang kakupas kupas parang hindi tumatanda.Mga bampira! Marian Dyosa. I so love her beauty kahit bareface. Teh I like both pero in this pose mas maganda ang dating ni Marian.. Both are beautiful, magkaiba lang ng beauty. One only and it's Marian. Other one retokada. Marian. Big no to the no-neck look. Marian beautiful in and out. pag face ang labanan, si marian. mahirap tumabi kay marian kahit maganda ka, nababawasan ang beauty ng nakakatabi ni marian. Marian Rivera, a natural beauty. Enough said. Maganda silang dalawa. No doubt about it. But in this photo, I'll give it to marian. Fresher, nakakahawa Ang saya. It must be the spark n her eyes. Marian. Less make up,fresh tingnan plus pa na may leeg cya sa photo. Marian. Less make up para magaang din tingnan ang face. Marian, all natural, no filter needed. Heart hands down. Classic beauty, elegant model type. Only her fantards call classy and elegant. Those are the only adjectives they know describing her. dun ako sa ganda lang talaga, no filter needed. Marian!!! Marian. She looks happy and contented. Both beauties pero si Marian ang winner. Dahil siya lang ang malinaw ang mata na alam ang itsura ng pogi. real beauty, less make up.M. Heart. 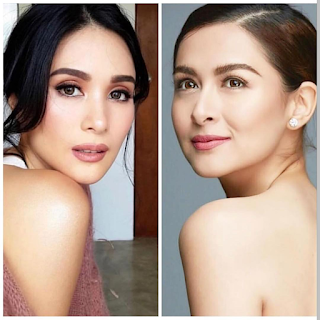 Both beautiful pero hindi nakakasawa ang ganda/mukha ni Heart. both beautiful, yung isa sophisticated, yung isa fresh. 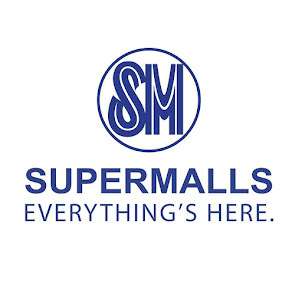 Sa style, magkaiba din, i think depende kasi sa minamarket nila na audience. Heart prefers sophisticated/regal style, on the other hand, marian prefers street/ easy going style, pansin ko yan pag nagttravel sila abroad. Marian original beauty. No retoke. Goddess. mas maamo ang face ni Marian kasi masaya ang family life niya... and it shows. Mas maganda ang aura niya after niya magpakasal. One of the top ten in the world and Asia MARIAN. Woman of the year 2018 too. no pretensions..real na real. raw. she doesnt have to prove anything. MGD. Gandang wala ng kailangang irekado pa.
Marian beautiful without pretentions and not trying hard. Maganda rin naman si Heart pero very iconic looking si Marian sa pic niya na ito. Heart pa din talaga ako. Though maganda din naman si Marian. Mas gusto ko si Heart kasi ang galing galing nya manamit and she can carry herself well in any situation whether super rich or ordinary people ang kasama nya. I like Heart's facial expression din sa picture na eto. Heart! Pinoy no halo beauty pero kabog! may halo atang chinese si heart. Marian. Her eyes are spakling and her face is glowing. She must be truly happy and it shows! Marian. Maganda din si Heart but mas masarap tingnan dyan sa pictures si Marian. Si Marian, effortless ang beauty nya. Marian all the way!!! Heart is okay, too. nakakainis kagandahan ni Marian, sana bawas bawasan din nya minsan. They are both beautiful and gorgeous but Heart exudes class, finesse and perfection. Marian on the other hand is equally stunning and flawless with her Spanish facial features. DUN TAYO SA NATURAL. Case cosed. Di ako nagandahan ni Heart on TV pero in person para shang Lucy Torres na small version. Ganda. Marian appeals to me as jean garcia talaga. Saw her sa Marimar days pa. Kasing liit din ni Heart. She was not as mestiza as she looks on TV or baka sa tindi rin ng init yun kaya ganun. Maganda but I think the TV version is way more beautiful.